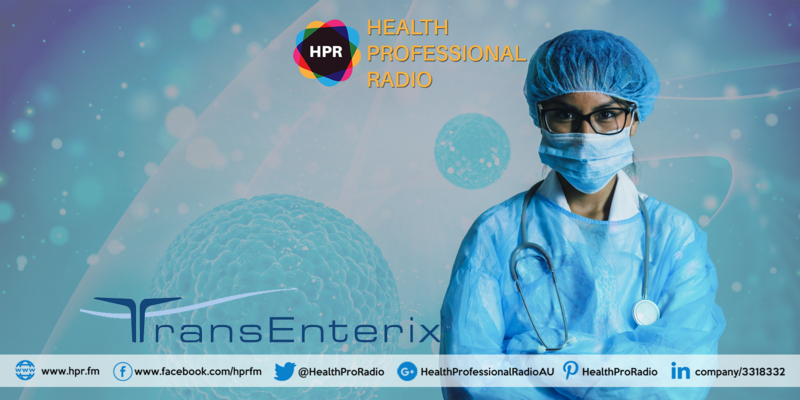 President and CEO of TransEnterix Inc., Todd Pope, joins Neal Howard on Health Professional Radio to talk about the recent FDA clearance of their company’s inventive Senhance – robotic surgical system which is designed and built to develop the learning curve and be a leverage to healthcare professionals in times of surgeries. Todd Pope is the Chief Executive Officer of TransEnterix Inc. He enjoyed being in the business that brings so many benefits to patients and hospital systems. He saw that the prevalence of the robotic surgery was gonna be a huge part of the future of healthcare and medicine. Prior to joining TransEnterix, Pope served as the worldwide president of Cordis, a multi-billion-dollar division within Johnson & Johnson’s medical device sector. With more than 25 years working in key leadership positions, he set the company’s strategic vision and oversees its organic growth as he also have a passion for managing prevailing startups that have groundbreaking technologies with the potential to change the prospect of present standard of care. Neal Howard: Welcome to Health Professional Radio. I’m your host, Neal Howard. Glad that you could join us once again. Our guest is Mr. Todd Pope, President and CEO of TransEnterix Incorporated and he’s joining us here on the program today to talk about FDA clearance for the Robotics Senhance™ Surgical System. Welcome to the program, Todd. Thanks for taking the time. Todd Pope: Thank you very much, Neal. I appreciate you having me. N: Now, as a CEO of TransEnterix, tell us a little bit about yourself and your company. T: Well, myself, I’ve been in the medical device business since the early 1990s, really enjoy being in a business that brings so many benefits to patients and hospital systems alike. In TransEnterix, we started the company 10 years ago. We saw that robotic surgery was going to be a big part of the future of healthcare and medicine. We felt like we had some ideas that we could bring to the market that would be very beneficial compared to what was out there at the current time and that’s what our journey has been like the last 10 years and we just got approval for our system, this Senhance™ in the 4th quarter of last year 2017. So we’re on our way. N: The Senhance™. It’s a surgical system you mentioned robotic surgery of course. But are we talking all surgeries or are there specific surgeries that robotics as a whole is focused on right now or your company specifically? T: That’s a great question. When you get a product like this Senhance™ approved through the regulatory authorities in the US that’s the FDA, they give you clearance for certain procedures or certain types of procedures. So the majority of procedures that the Senhance™ is focused on really is from the thoracic cavity down to the pelvic floor, general surgery procedures such as gallbladder removal and hernia repair in GYN surgeries and colorectal surgery. So a wide variety of procedures in the abdomen and pelvis. N: What about the learning curve? Are we talking about people that are going to be in med school who are specifically being trained in robotic surgery or is this something that our current surgeons can become aware of and up-to-date of and up to speed in a relatively short period of time in order to give those benefits to the patients? T: Well, a learning curve is one of the things we specifically had in mind when we designed the Senhance™. Today, laparoscopic surgery is very widespread. That’s when you have a laparoscope to see inside the patient and then several small instruments to do the surgery. Laparoscopic surgeries done about 8 million times a year just in the US and Europe alone and there’s a very good understanding of how to do laparoscopic surgery. With the Senhance™, we replicated many of the movements, many of the setups of laparoscopic surgery. So when someone sits on the Senhance™ for the first time, they’re very familiar because the actual way you move the instruments with Senhance™ is almost identical to laparoscopic surgery. So we found that, although we bring a lot of benefits to the surgeons that they don’t have today, the learning curve is fairly short because of the familiarity. N: Now, being familiar, is that because it feels familiar as you sit inside an apparatus or something like that or is it specifically designed for an individual? T: It’s a good question. It’s really designed for a style or a type of surgery. With laparoscopic surgery, when you move your hands a certain way the instruments react and we’ve duplicated that with Senhance™. So the movements that they make with laparoscopic surgery that they’re quite familiar with is almost exactly the same with the Senhance™. So they can sit in a console, they’re very comfortable, they have a 3d monitor in front of them so they can see all the subtleties of different tissue planes in a three-dimensional way and they’re able to sit down and utilize a lot of that skill that they already have for laparoscopic surgery with the Senhance™. So it’s the best of both worlds. It brings a lot of new benefits to them and their patients but it also leverages the learning curve that they’ve already gone through. N: Is this something that can be cost-effectively implemented into a practice or a facility? How does it pay for itself? T: Certainly. Today in robotics and healthcare in general, everyone’s talking about value-based healthcare. You have to be able to bring technology that makes a difference but also does not exceed current budgetary levels. We hear a lot about the cost of healthcare in the United States. So one of the main focuses of our system was we wanted to be able to offer a per procedure cost that’s very similar to laparoscopic surgery today. There’s one other robot on the market today and it’s certainly more expensive than laparoscopic surgery on a per cost basis. So with Senhance™, we wanted to do everything we could, try to drive toward parity with what they’re used to today on the cost side but also bring a lot of new benefits. So it’s a very insightful question and I think that’s what health care providers are requiring today – a new technology that makes a difference that ultimately lowers the cost of healthcare not increases it. N: What about the interchangeability of components, the maintenance of these components or maybe even the reusability of these components? Is that part of the bottom line or the ROI or is that something that one and done as far as some of the components? T: Those two things were front and center for us with Senhance™. First of all, interchangeability. We want to be able to utilize technology that already exists in the operating room with Senhance™. So video cameras that are already in the hospital we’ve made many of them adaptable with Senhance™ so they don’t have to buy a separate set of video cameras. This open architecture allows hospitals to leverage technology which they already have in the hospital and without adding extra cost. And then your question on reusability. That’s one of the things that drives up the cost of healthcare if every single instrument that was used has to be thrown away. We have such great sterilization techniques in healthcare today that we’re incorporating more and more reusable instruments into our Senhance™ which allows hospitals to amateurize that cost and really bring down the per-procedure cost. So both of those things you’re hitting on are key components of Senhance™. Interchangeability with technology that is already in the hospital, the ability to use technology time and again without having to throw it away each time. N: Where do you see that the future of the OR based on your experience there at TransEnterix and with robotics in general? T: I think the OR is gonna start mirroring what we do in our day to day life. If you think about our smartphones or our homes, we’re starting to aggregate more and more data together, it will leverage technology to benefit our lives. In the operating room, we haven’t done as much of that because it’s a highly regulated environment. It takes a lot to get products approved but I think the future of the OR will begin to integrate much of the data that goes on. We can see a day where a surgeon is sitting at the Senhance™ console and all the patient’s vitals are there on the screen. Instead … the anesthesia, how they’re doing I think we can overlay images- a pre-op and post-op right on the screen. So I think being able to take, what we talked a lot about is big data and make it very accessible to the surgical staff during surgery. I think that’s where Senhance™ and other robotic technologies over time are going to go. N: Where can we learn some more about the Senhance™ Surgical System and also about TransEnterix Incorporated as well? T: Certainly, transEnterix.com. We have a website. We are a public company. We’re on the New York Stock Exchange. So we try to make much of the information about the Senhance™ and our company available on the website. There’s good information there, there are videos, some testimonials and we’re really excited about leading some of this new technology wave in the future. N: Right. Todd Pope, it’s been a pleasure. Thank you so much for joining me on the program today. I’m hoping you’ll come back and give us some updates as the future of robotics and surgery progresses. T: Thank you very much, Neal. Have a good day. N: You as well. You’ve been listening to Health Professional Radio. I’m your host, Neal Howard. Transcript and audio of this show are available at hpr.fm and at healthprofessionalradio.com.au. You can also subscribe to this podcast on iTunes, listen in and download at SoundCloud and be sure and visit our affiliates page on our platform at hpr.fm.